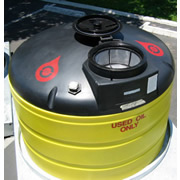 The ideal double-wall waste oil tank with 110% secondary containment. Won't rust, chip or dent. Translucent "Safety Yellow" containment tank for easy routine inspection. 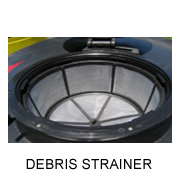 Large Sink with debris screen and removable debris strainer. 2" external quick-release drain coupling. Made of 100% Recyclable Polyethylene. Note: For outdoor use it is recommend running a bead of silicon caulk on the top edge between the two tanks to prevent water entering between the sidewalls. 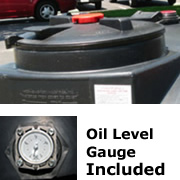 Be sure to check federal, state and local oil storage regulations prior to purchasing.